This was my first attempt at real writing. As I reread it today, I guess it wasn’t a happy time for me, though I can’t remember why. In any case, I was in awe that Rachmaninoff had created a masterpiece that millions are listening to as though it was written just for them, and that millions will continue to listen to for centuries. How many of us can really create something that lasts forever, far beyond our mortality? What is so interesting about rereading this essay today is that I may have discovered another reason why I write: I want to leave something behind, something worth reading. Evgeniy Kissin’s performance of this concerto is by far my favorite. Here it is. This essay discusses the first part of the concerto. The first time I heard Rachmaninoff’s Concerto No. 3 for Piano and Orchestra was several years ago, but I remember it as if it were yesterday. It was a sunny spring day, the streets were full of light, the trees were barely touched by a soft breeze. I was doing homework in my room; the blinds were open, allowing the afternoon sunlight to pour in and print its bright yellow signature on my desk. I remember it very clearly. It was on that day that I became a different person, when I understood life through music. Rachmaninoff’s Piano Concerto No. 3 (“Rach 3rd”), begins with a piano gently opening the door of the imagination. The piano steps in very tenderly, with a degree of caution. The tempo slowly accelerates and creates an atmosphere of stability and order, putting the chaos of life firmly on the shelf. The orchestra, led mostly by violins, remains delicately in the background, revealing its presence but leaving the role of narrator to the piano. The tone of the music is gentle and relaxing with no sudden movements. Slowly, the orchestra mounts an attempt to lead the concerto, but the piano seems to maintain the lead, replacing the orchestra’s wide, deep magnitude with its own massive chords, letting the orchestra know that the piano is powerful enough to play the orchestra’s role. The orchestra mildly argues, then surrenders, allowing the piano to tell the story. The piano begins cautiously, quite calmly, picking up the pace, carefully taking the music to a mysterious level of high rhythm and harmony. The piano doesn’t just play anymore, it talks, telling the story of two lovers arguing passionately about something very important to both of them. The man explains his point of view to his companion, his voice trembling yet persistent and forceful. The woman responds fiercely, with passion and a certain degree of anger and frustration in her voice. The man becomes more upset, his voice filled with sadness. Her every word pushes him deeper and deeper into despair. She sees how she is hurting her lover, the one she treasures more than life itself. She realizes what her words are doing him. Suddenly, her frustration is transformed into gentleness, her anger into love. Her voice becomes soft, looking for compromise. She tells her lover their disagreement is not worth fighting over; he agrees. Instantly, the room, which just a moment earlier was filled with rage and despair, is now filled with a loving, caring gentleness. The piano singularly creates an orchestra, playing its different parts, magnificently leading and supporting the actual orchestra. Then the piano, weary of the lead, allows the orchestra to proceed. The orchestra gradually, discreetly takes over but never accepts the role of narrator, permitting the listener to savor the story the piano has just told. Still, the piano underlines the most important pieces of the concerto, revealing the composer’s preference for it over the orchestra. The piano’s story is one for which each listener will have a different interpretation. One may imagine a small, wooden fishing ship returning from a long, exhausting voyage after being trapped in a terrible storm, fighting huge, dark gray waves. But to another listener the concerto may just restimulate happy childhood memories. The music doesn’t limit the listener’s imagination to particular thoughts or images. “Rach 3rd” created an emotional background within me that allowed my imagination to explore deep, hidden ideas of which I hadn’t previously been aware. The music poured through me in waves, sorting my negative and positive emotions, changing ordinary chaos into an extraordinary peaceful stillness. I paused from my homework, relaxed, and let the music flow through me. I was getting high on “Rach 3rd”, and I slowly began to realize that I had let everyday misfortunes make my life frustrating and miserable. Instead of trying to better myself, I was wasting my life pursuing obsolete and useless goals that could only plug immediate emotional holes. Suddenly, I gained a better understanding of my life. I realized the insignificance of daily trials and the importance of long term goals. I understood the true value of spending time with loved ones. I felt the music going through my mind, organizing everything and putting it in its proper order. It helped me to reevaluate the things that I truly valued and treasured, inspiring me to take actions that I never thought I could take nor had the courage to accomplish. The music also brought my imagination to the surface, allowing my mind to wander along new paths. 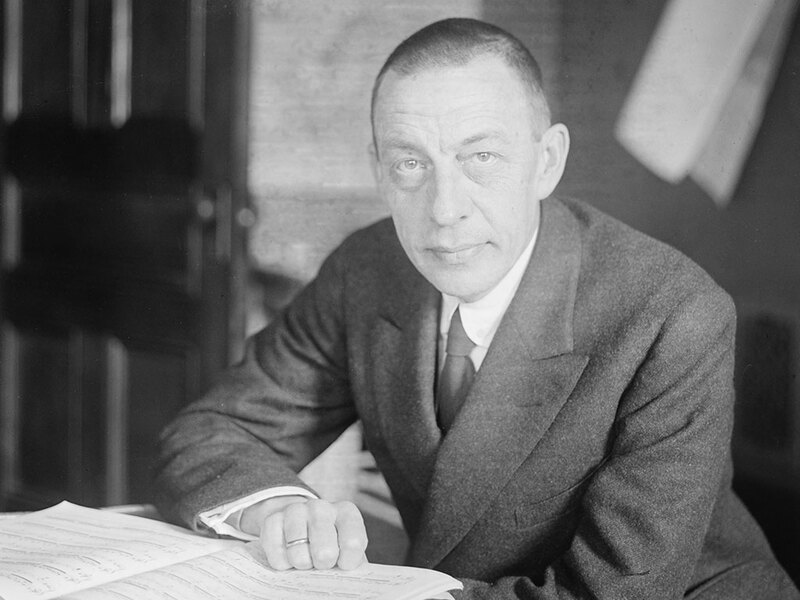 Fifty-four years after Sergey Rachmaninoff’s death, his music still lives. That is something for which most people can only wish. Rachmaninoff created a masterpiece that will live forever, making the lives of others more pleasurable. It continues to invoke the best in people when they listen to his beautiful, romantic, pure music. “Rach 3rd” made me realize that I wasn’t born to create absence after my death, but to create something for which future generations would remember me. I still remember the first time I heard “Rach 3rd.” I’ll always treasure that moment. To be able to understand and to love Rachmaninoff’s music is a blessing I will pass on to my children. Surely his music will benefit them as it has benefited me. 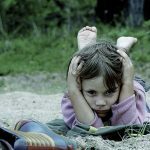 Why Do I Torture My Kids … With Classical Music?